It’s 5th Grade, and the Dudes are ready to rule the school. The goal: To take possession of the most powerful dart gun ever invented! 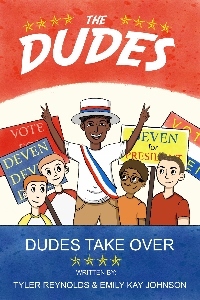 You won’t want to miss Deven’s hilarious election speech, Jayden’s Dude-themed birthday bash, or the battle with baby-stealing bandits! Guard your garden gnome because Dudes are taking over!